NaviSoC is described as an all-in-one, single-chip solution capable of bringing reliable, high-precision positioning to mass-market users and applications. It will be on display at the 2019 Mobile World Congress (MWC Barcelona) February 25-28 at Barcelona’s Fira Gran Via. It contains a miniature GNSS receiver equipped with an application microcontroller (MPU) and comes with an SDK that simplifies user application development. This feature is said to set NaviSoC apart from other GNSS receivers and can be especially important for internet of things (IoT) applications and autonomous systems. NaviSoC hopes to galvanize future segments of GNSS users and looks to take automation to the next level. It can also drive the market for reliable, low-cost, high-precision GNSS systems as an open-platform solution, according to Poland-based ChipCraft. NaviSoC’s navigation component is a multi-frequency GNSS receiver that can receive Galileo, EGNOS, GPS, GLONASS, BeiDou, and QZSS signals simultaneously. 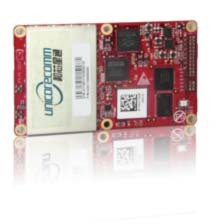 Despite being fully integrated on silicon, it offers unlimited access to raw GNSS data on any level and can be used in tandem with an external IMU to complement its positioning, navigation and timing (PNT) functions with non-GNSS sensors. NaviSoC is designed to offer the chance to incorporate a highly accurate GNSS receiver into navigation systems. It features low cost, high precision (< 10 cm), low power consumption (< 100 mW), a miniature size (< 100 mm3), high reliability, and a multi-core 32-bit microcontroller, according to ChipCraft. “This kind of product could be a market enabler for a future GNSS user segment, taking the automation and autonomy of IoT devices to the next level,” said ChipCraft’s CEO Dr. Tomasz Borejko in a press release issued by the European Global Navigation Satellite Systems Agency (GSA), which will be on hand at MWC Barcelona. Attendees can visit the GSA team at the Galileo stand located at Hall 8.0, Stand 8.0H15.